A couple of years ago, there was an animation motion picture titled Ratatouille (/ratəˈto͞o-ē/ or rah-tah-too-wee), which chronicled about a mouse with ingenious flair for cooking whose signature dish was none other than, Ratatouille (of course!). Long story short, his Ratatouille unexpectedly won the praise from a severe food critic, the main antagonist character in the story. Ever since that movie, I had often wondered what this dish actually is. 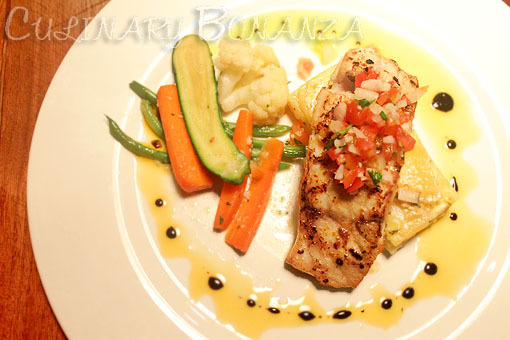 That is, until I finally got the chance to try it at Ratatouille French Bistro & Bar in Jakarta. 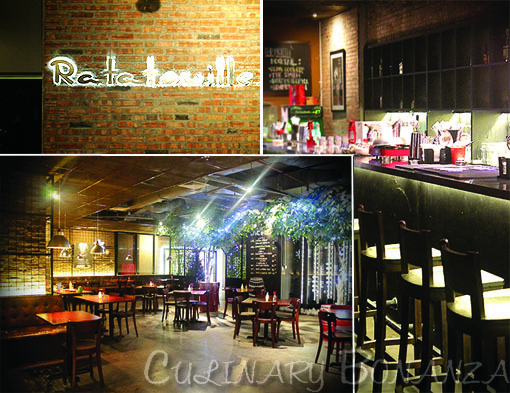 Ratatouille French Bistro & Bar is a new spot in Jakarta that has only opened for a few months (as of the day I write this post). The entire place itself is divided to 2 parts, the one on the left is more spacious, where most guests will be seated, whereas the right wing features a long bar counter, a DJ turntable, is smaller and more intimate. The right wing can be booked for private events, such as birthday parties, or other functions. Semi-raw industrial decor seems to be the general feel portrayed by the décor, with sombre colours such as black and brick-brown in the furniture & walls. And the interior features an interesting combination of black iron grilles and French art pieces on the walls, exuding a somewhat mysterious masculinity. Occasionally though, your eyes may rest upon vibrant colours like the green faux-vine covered wall or bright red utensils and table ornaments. 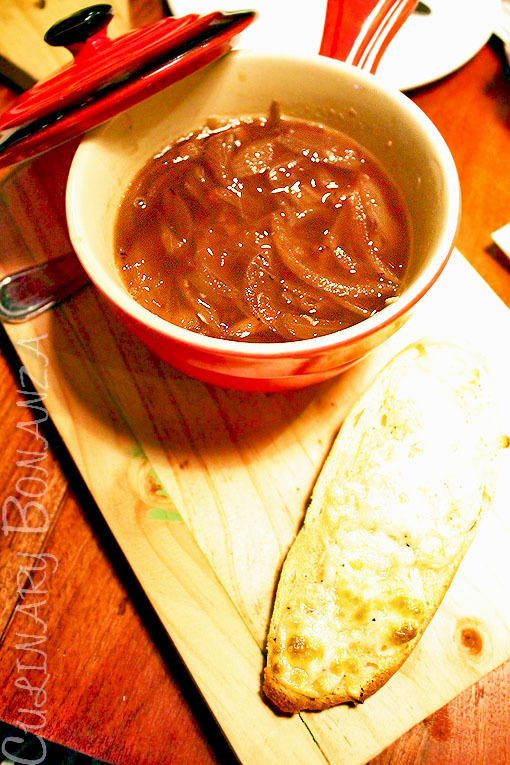 I like to test a French restaurant by ordering the French classics: Escargot and Onion Soup. Ratatouille exceeded my expectation, so it was a good sign for the rest of the food items to come. Besides the Ratatouille, we had onion soup, escargot gratin and fried platter for entrées. 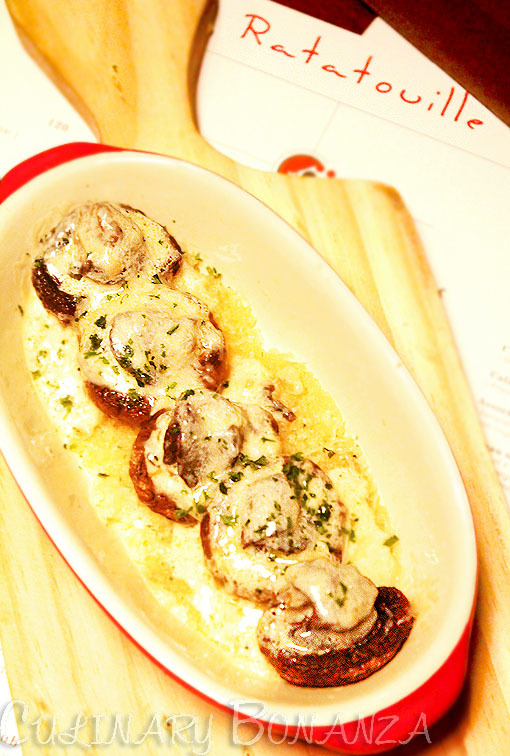 Our favourite was the escargot gratin, so much so that we ordered 3 servings of that! For les plats principaux (main courses), we had some meat, fish and curly noodles (!). Yes, curly noodles at a French bistro! 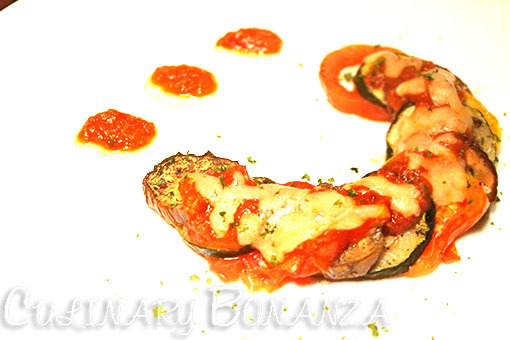 In Jakarta, it is often safer to offer some basic / comfort Asian food, like what Ratatouille does. 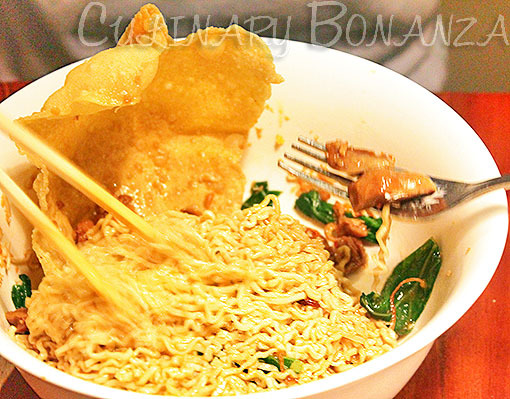 You can find classic Indonesian favourites such as noodles, ox-tail soup, satay and fried rice. What surprised me, was the delicious taste of the curly noodles! 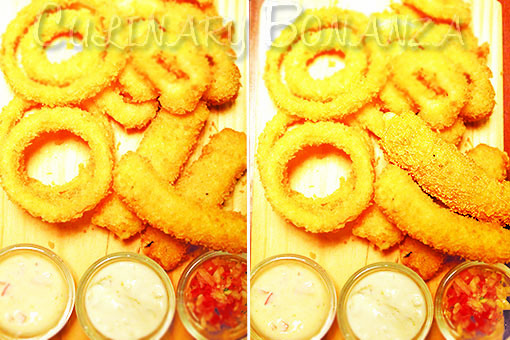 It was greasy, umami & yummy, the way Indonesians love it. 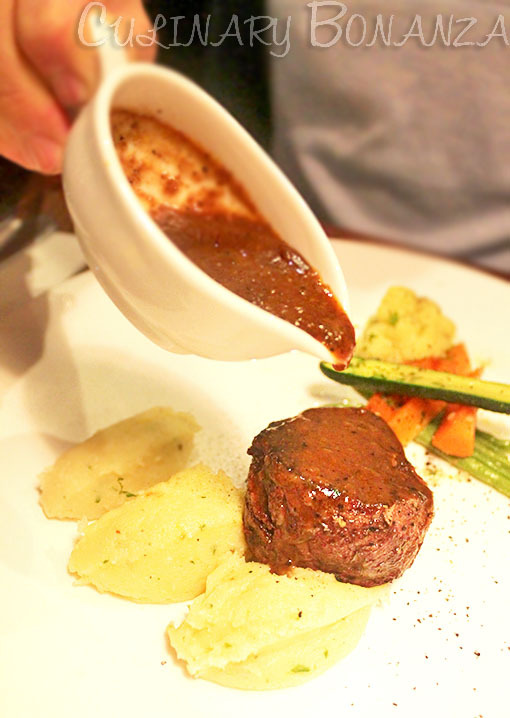 But of course, you are advised to eat the French dishes when dining at a French bistro. 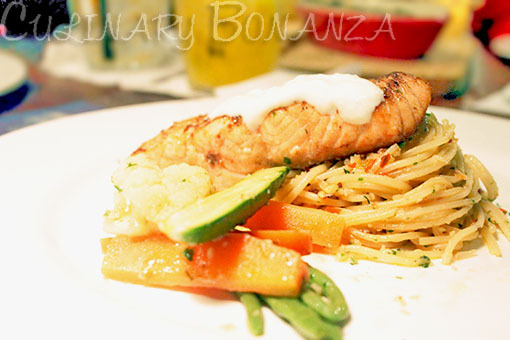 Another favourite of ours was the aglio olio spaghetti that came with the grilled salmon. Al dente, well seasoned and tasted light for a carbo-laden side. Although the most popular dessert here is actually the chocolate lava cake (Moelleux au Chocolat), I decided to choose a refreshing dessert, since we already had enough creamy and heavy stuff from entrées to main course. 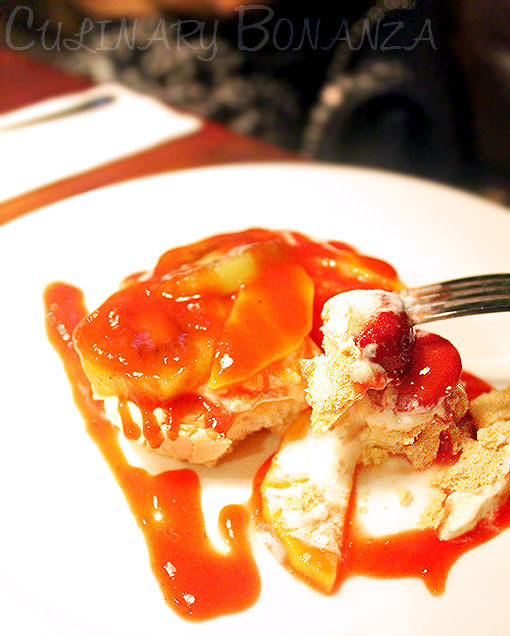 Meringue des bois was absolutely perfect to cleanse our palate with its combination of light fruitiness, sweet & sour flavours. 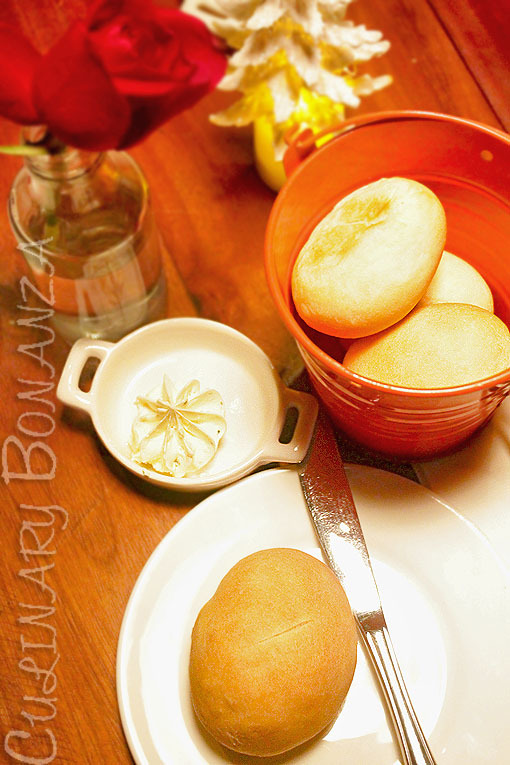 So, are you now tempted to try out Ratatouille? I am SO coming back to try other dishes here.